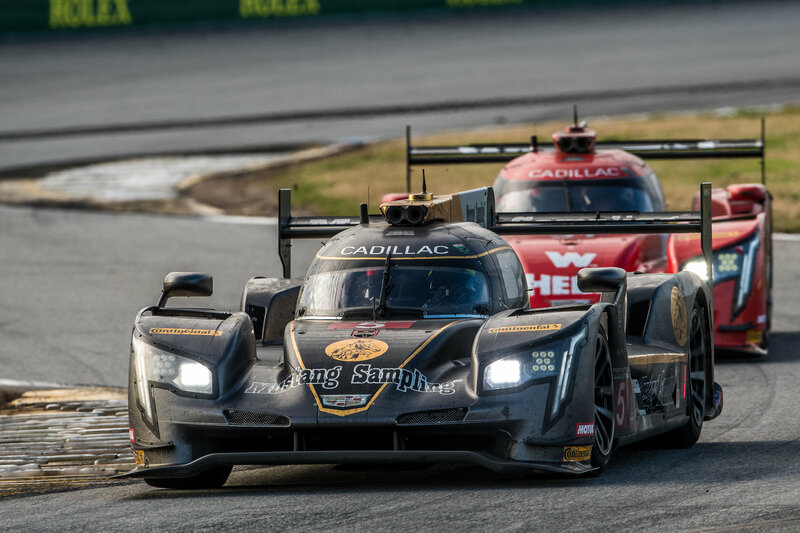 Daytona Beach, Fla. (28 January 2018) Battling one of the most competitive fields in the history of the event, Mustang Sampling Racing emerged from a record-breaking race to take victory in the 2018 Rolex 24 At Daytona on Sunday with drivers Filipe Albuquerque (PRT), Christian Fittipaldi (BRA) João Barbosa (PRT). “This is our fourth year with this team and this family. 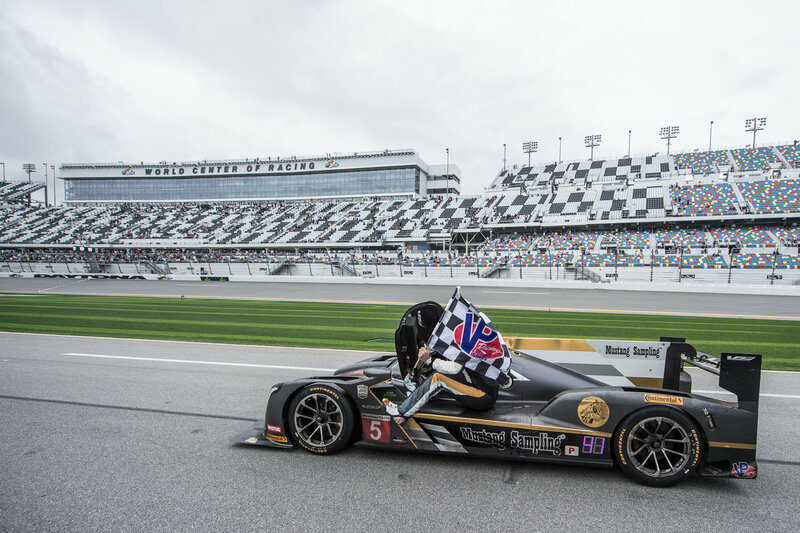 Starting with the Corvettes (Daytona Prototypes) and into the start of the Cadillac DPi-V.R, it has been a phenomenal experience for me, my family, my wife, my company, our customers and everyone. 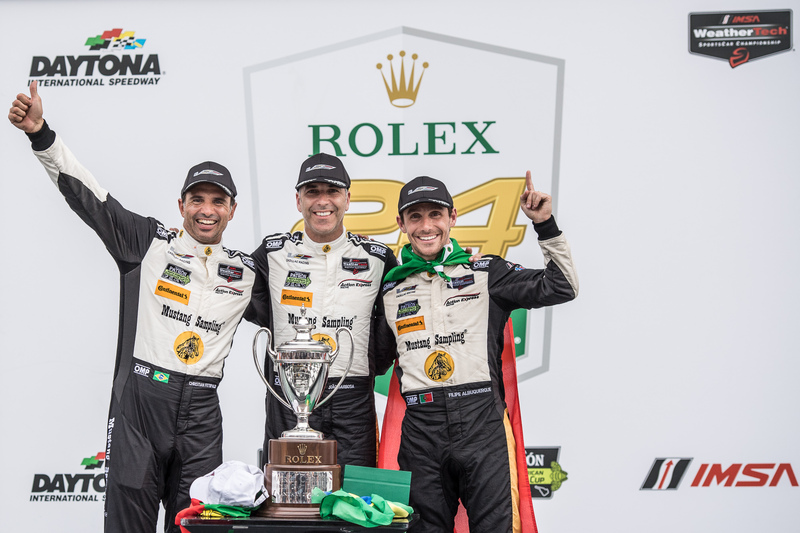 I can’t say enough about this team, and about IMSA. The series has provided us with a place to come race and to give back to the fans, which is so well deserved. I’m at a loss for words – I’m sure it will sink in later!